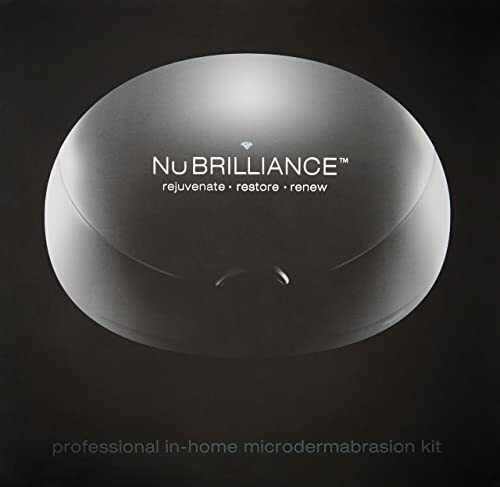 The NuBrilliance Microdermabrasion Skin Care System has been inspired by professional microdermabrasion technique and technology. 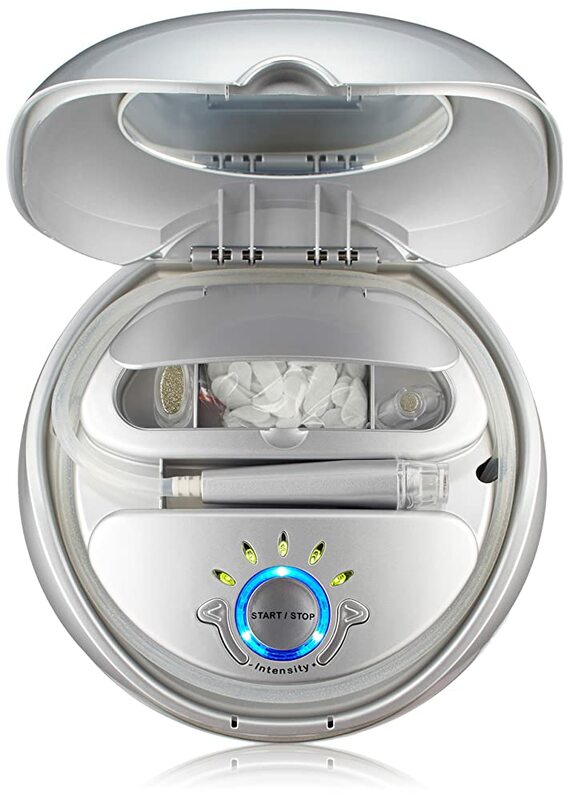 It is an innovative microdermabrasion machine for at-home use. It uses a dual-action therapy system in order to trigger stimulation and exfoliation in a single easy step. This system provides a complete kit to get shiny and smooth skin by effectively removing dead cells from the outer layer of the skin. The use of its strong diamond tip leads to a fresh and younger-looking skin. The features of the machines guarantee a clearer, renewed and more radiant skin. The kit uses diamond tips to exfoliate your skin. Diamond tips are used in professional microdermabrasion units which are used in spas and medical treatments. In fact, one of the best compounds which can be used for skin exfoliation is the diamond. The NuBrilliance Microdermabrasion Skin Care System is made from the high-quality plastic material. The system unit is highly stable for use. It has also been shown to be highly durable. The system comes with three components. The first one is the microdermabrasion system unit which is the main machine itself. The second component is the diamond tips. There are three diamond tips which are included. The third component is the 30 disposable filters. The tip is suited for multiple uses before it needs to be replaced. It is worth noting that both the tip and the filters can easily be purchased online. The NuBrilliance Microdermabrasion Skin Care System comes with three bonus items. The first one is the preparation cleanser which is to be used before treatment. The second extra item is the collagen regenerator, to be used after treatment and the third item is a moisturizer, to be used after treatment again. A user guide is available for this system. However, the guide needs to be purchased separately and is considered quite expensive by most customers. The user guide effectively coaches the user through each and every step throughout the treatment. Most Interesting Feature: Built-In Vacuum! The built-in vacuum of the microdermabrasion system is ideal for sucking out deep seated dirt. Without this suction power, you will not even realize the benefits you gain from true microdermabrasion. While exfoliation during microdermabrasion is usually the most evident aspect to any person who has had such treatment, they can tell you that the suction element is the most important aspect. There are 5 levels of suction power to choose from in this system. NuBrilliance microdermabrasion skin care system is a non-invasive aesthetic treatment. The system is coupled with different levels of suction power. Its use is not limited to the face. It can be used on neck, thighs, chest, and hands. The system considerably improves skin texture, tone, and elasticity. The appearance of fine lines and wrinkles is highly reduced. The system is suited for use for all skin types. The system is relatively cheaper than Spa Microdermabrasion. It generally takes approximately 10 minutes to complete a full treatment of the face. One treatment per week should normally leave your face glowing and clean. The system comes with a three-year warranty period. Since the system is made of a quality plastic material, it is relatively light compared to other microdermabrasion systems. This makes the system highly portable and convenient to carry around. Many customers report a loss of suction power after several uses. It was found to be because of the fact that the machine was completely clogged, although customers state that they regular changed the filters. This system also has the least amount of suction power compared to similar microdermabrasion systems. For a microdermabrasion system of such quality and low suction power, many people find it highly overpriced. Moreover, NuBrilliance filter prices are as high as about $15 for 30 filters. The tips for NuBrilliance are also pricey. The overall cost of the system is quite high when the whole picture is considered. 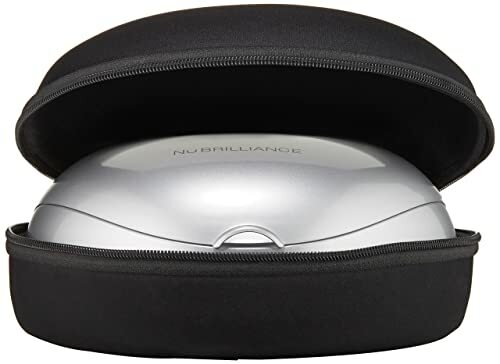 For people looking for at-home microdermabrasion solutions, the NuBrilliance Microdermabrasion Skin Care System can be the remedy. It is a great alternative to professional spa sessions and medical treatments, with considerably lower costs. Although the cost of the system is a little higher than the cost of one professional treatment, you get to use the system over and over again. It is thus profitable in the long run. The results delivered by the system are also as good and effective as those from professional treatment. The best part is that you get to do your microdermabrasion at your own convenience and in the comfort of your own home. Moreover, the bonus items included aid in keeping the new layer of skin as healthy as possible. This is a great requirement of a good microdermabrasion treatment. The NuBrilliance Microdermabrasion Skin Care System is a must-try!